New Delhi: Munching on tangy fruits can help you stay slim, reveals a new study. The study conducted on mice showed that the juice of the blood orange stopped them from piling on weight when fed a high-fat diet. 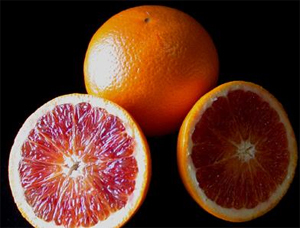 However, those fed with sweeter oranges gained significant amounts of fat. The research team from University of Milan believe the fat-busting powers of the fruit, grown in Italy and the US, may be partly due to its high levels of anthocyanin. This red pigment that gives the orange its deep colour is a type of antioxidant, a natural chemical that helps ward off disease, reports dailymail.co.uk. The juice damages the ability of cells called adipocytes to accumulate fat. Adipocytes are found mostly around the waistline and absorb fat from food to store as energy. The study appears in International Journal of Obesity.